CHICOUTIMI, Que. — Dmitry Zavgorodniy had a hat trick as the Rimouski Oceanic routed the Chicoutimi Sagueneens 6-3 on Wednesday evening to complete the four-game sweep of their Quebec Major Junior Hockey League playoff series. 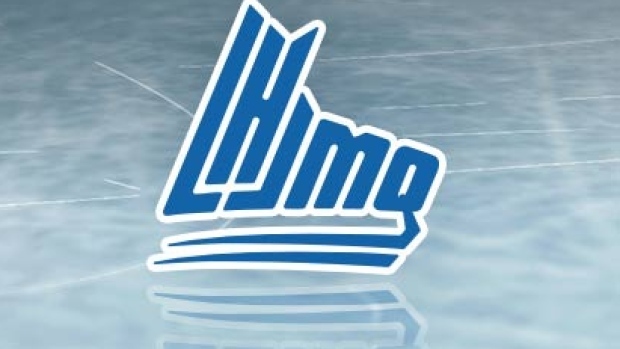 Alexis Lafreniere's goal at 2:55 of the second period was the eventual winner as Rimouski was the first team to advance to the second round of the QMJHL playoffs. Jimmy Huntington and Anthony Gagnon also scored for the Oceanic, while Colten Ellis made 28 saves for the win. Vladislav Kotkov, William Dufour and Hendrix Lapierre scored for the Sagueneens. Alexis Shank turned aside 24 shots for Chicoutimi. Rimouski went 2 for 3 on the power play and the Sagueneens were 1 for 4 with the man advantage. MONCTON, N.B. — Mika Cyr struck twice, including the power-play winner, as the Wildcats edged Baie-Comeau to tie their series 2-2. Jonathan Aspirot had the other goal for Moncton. Keenan MacIsaac and Nathan Legare scored for the Drakkar. SYDNEY, N.S. — Egor Sokolov put away the winner for the Screaming Eagles at 13:05 of the second period as Cape Breton knotted its series with Charlottetown 2-2. Leon Gawanke, Mitchell Balmas, Derek Gentile, Mathias Laferriere and Brooklyn Kalmikov chipped in for the Screaming Eagles. Jordan Maher and Nikita Alexandrov replied for the Islanders. SHAWINIGAN, Que. — Gabriel Denis had a power-play goal late in the third period as the Cataractes slipped past Rouyn-Noranda to tie the series 2-2. Jan Drozg, Mavrik Bourque and Charles Beaudoin also found the back of the net for Shawinigan. Jakub Lauko, Joel Teasdale and Noah Dobson scored for the Huskies. BOISBRIAND, Que. — Alex-Olivier Voyer's power-play goal early in the second period was the eventual winner as Sherbrooke skated past Blainville-Boisbriand. Ryan DaSilva, Felix Robert, Benjamin Tardif, Patrick Guay and Taro Jentzsch also scored as the Phoenix took a 3-1 lead in the series. Jasper Rannisto and Zachary Roy responded for the Armada. VAL-D'OR, Que. — Julien Tessier had a pair of goals, including the winner, as the Foreurs downed Victoriaville and tied their series 2-2. Nicolas Ouellet, Maxence Guenette and Peyton Hoyt rounded out the attack for Val-d'Or. Conor Frenette, Simon Lafrance and Anthony Poulin scored for the Tigres. GATINEAU, Que. — Charles-Antoine Roy struck twice as the Olympiques subdued Drummondville. Mathieu Bizier and Giordano Finoro also scored as Gatineau cut the Voltigeurs' series lead to 3-1. Nicolas Beaudin and Brandon Skubel scored for Drummondville.